I just realized that I missed my garden update last week. I&apos;ve been missing a lot of things lately. The migraines have been coming every second day since the tail end of August, and that sort of pattern wipes me out. Understandably, I haven&apos;t been so vigilant in the garden. And, well, for a while there it seemed as if my herbs were suppressing the weeds, so I sat back and enjoyed the break. But as the season approaches its end, the weeds are fighting back. I&apos;ve got this sole photo as proof for the rest of the garden is so overgrown that it&apos;s hard to distinguish from the background. My echinacea bloomed. If there is one plant I am truly glad to have, echinacea misses out on the top spot because calendula forever has my heart. These echinacea blossoms are gorgeous. I don&apos;t use them for anything and the root won&apos;t be ready until next year, so these are for pure enjoyment. The monarchs love them, and the bumblebees. Every time I visit the garden I watch the insects and feel thankful for flowers and friends who give flowers. Then I pick some more yarrow and clary sage and squirrel it away for herb bundling. I gave my perennial culinary herbs a good trim, the last of the season so they can recover before winter sets in. There&apos;s time enough to mulch them. I still have to dig up the ashwaghanda root, and I want to collect several more heads of calendula seeds to save. Other than that, winter will cause my garden to die back. Most of the plants are native perennials; they&apos;ll be fine. I&apos;ve got tentative plans for next year too. Fewer borage plants (just one, I think), more calendula, and some plot rearranging. It will be time to dig up the biennials too. But for now, rest! Rest is in order, and it sounds good. It&apos;s a good thing the August garden can take care of herself because I did very little this month. Mostly because there was minimal need for my interference. I planted my plants so close together that only the most persistent weeds stand a chance. These I pull up with ease after they grow tall enough to poke through the canopy. 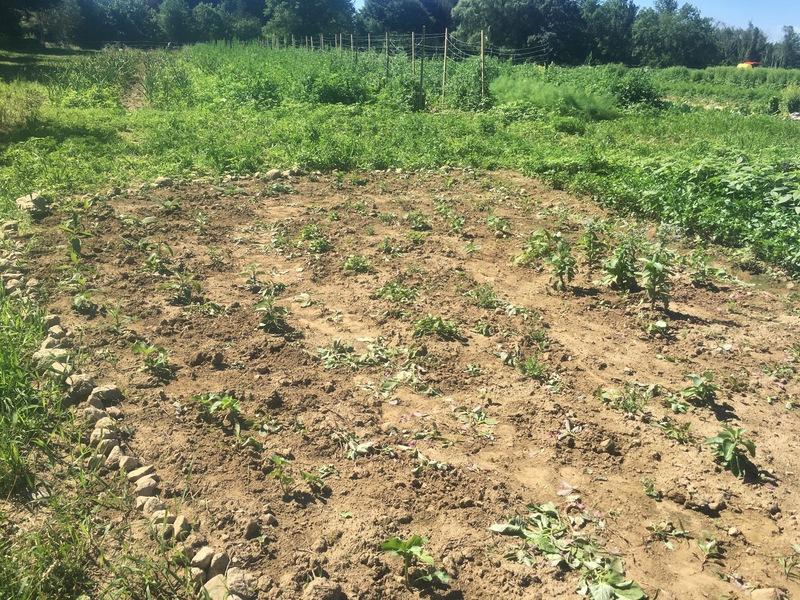 After a while one of my growing season goals becomes less about getting every weed out and more about reducing those weeds that are sending out seed heads to make next year a bit easier, so I don&apos;t sweat the small fry. Weeds aside, the garden is (dare I say) blossoming. Each plant is growing with all her might, putting out flowers and packing on the growth. I had to rip out several square feet of toothache plant to prevent it from overrunning my calendulas and the little garden path. Don&apos;t be fooled though, there is plenty of toothache plant left. My calendulas are producing. Most plants I leave to flower for the bees and to save my sanity, but not the calendulas. I pluck every flower and they go straight to my drying screen. When I miss a day, I let those flower heads go by so I can save the seeds. How I love calendulas. I&apos;ve been enjoying those plants that you don&apos;t harvest until the second year: valerian, clary sage, echinacea (first bloom soon! ), and marshmallow. It&apos;s nice to see them growing and knowing that I&apos;ll get to play with them next year. I have several ashwagandha plants that should be in this category but they won&apos;t survive the winter, so I&apos;ll be harvesting their roots this year. This will leave me with several big spaces in the beds. Thank goodness! 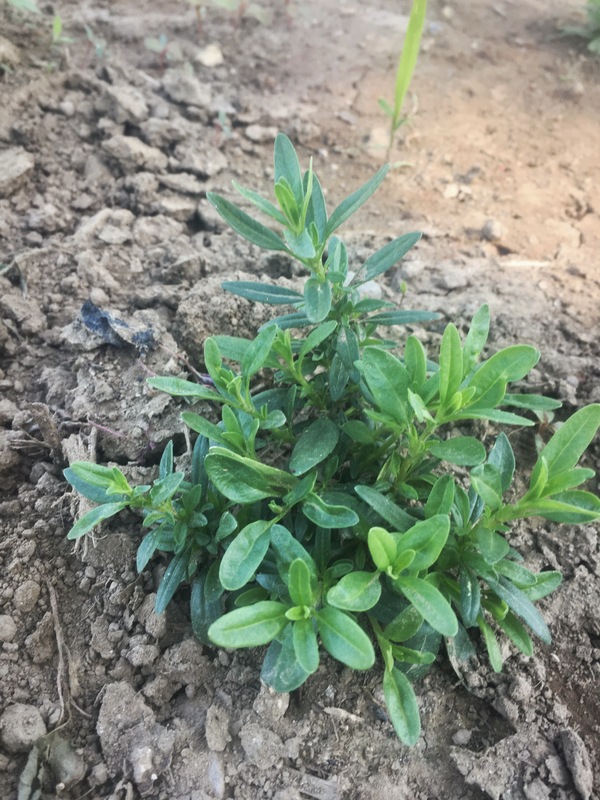 I mistakenly planted my rosemary, thyme, sage, and oregano plants too close to some of the taller plants and they get very little sun. I&apos;ll relocate these next year to the empty spaces. 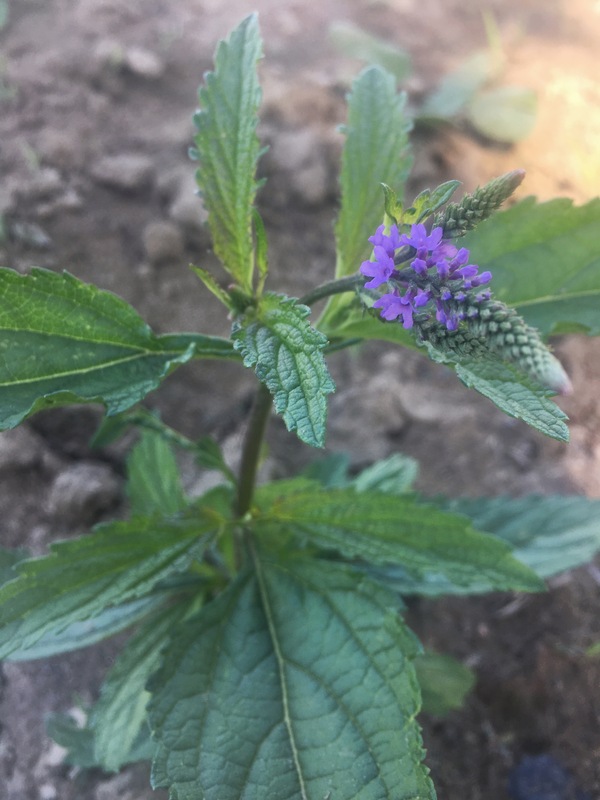 This is what happens when you don&apos;t know much about the plants you&apos;re planting, and you think that blue vervain will stay small and shrubby. I&apos;m not sure what to do about the oats that are growing. They don&apos;t look like they&apos;ll produce heads any time soon. Although I know I have most of September before me, I&apos;m not sure anything will come of that cluster of plants. And meanwhile they are disguising all kinds of tall grasses in there. Ah well. I&apos;ll just let them go and see what happens. That bee balm from last month is thriving. Farmer Brittany suggested I cut the plants back to encourage root growth before the winter, so I did. The plants rewarded me with another round of blooms, which I turned into flower essence this week. August is a gift from the garden. I know it will all go by soon, and I&apos;m planning my winterizing activities already, but it sure is good to enjoy it now. It feels like the universe, in all its goodness, has given me a garden this year wrapped with a ribbon and bow. How else could I explain that our friends Brittany and Kevin just happened to have a spare corner of land on their farm? 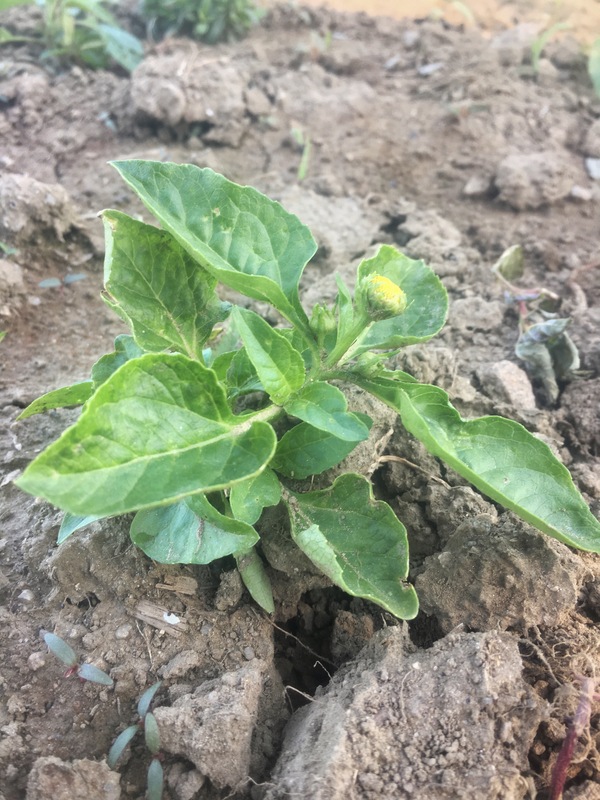 And that it included a hundred medicinal plant seedlings, gifted from one of their friends from her own medicinal herb farm after she finished her spring planting? Generous. That’s what the universe is, working through friends and friends of friends. 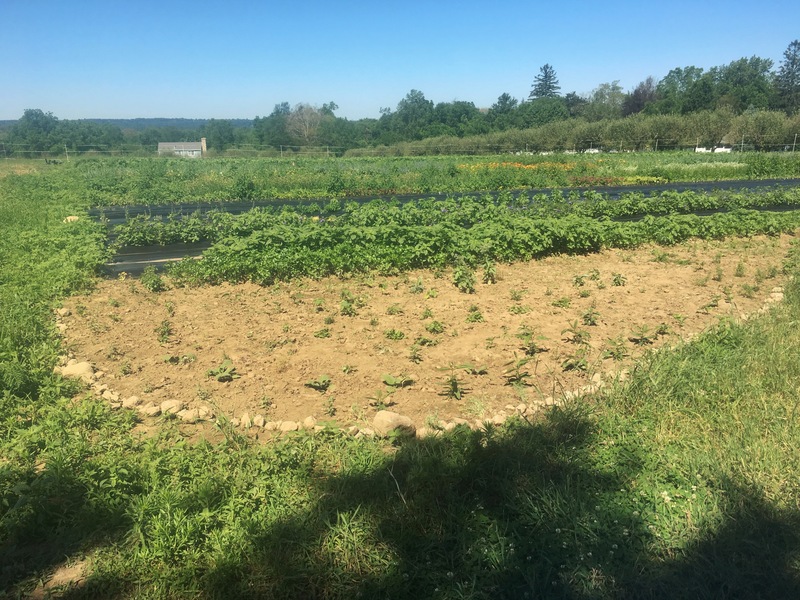 As Seth and I wrote out our goals and plans earlier this year, with the snow knee high and a baby sleeping in my arms, I placed gardening high on my list of priorities. It may have been a bit of cabin fever. I didn’t get to work in a garden last year with the morning sickness and drought. The necessary, long recuperation from giving birth this winter made me wild for getting my hands in the dirt. My schemes weren’t too grand; I thought I’d be ok with a few calendula plants and some herbs and wildflowers. But now I have about 200 square feet studded with all manner of plants, most that I’ve never grown and a couple I can’t identify. It’s slow growing. I got the plants in the ground halfway through June instead of halfway through May. The frequent rainy days have delayed things a bit too. But oh, to be growing again! I’ve been chewing on this blog post for a while, trying to think of how to introduce this unexpected garden, and even now I pause a minute. But the truth is that I’m growing again: medicine, yes, but also myself. Learning how to care for new plants, expanding the medicines I’ve been making. Squeezing in work between looking after not one but two babies. Oh goodness. These are things I never thought I’d be doing. The list of plants is extensive. Vervain, marshmallow, motherwort, oregano, valerian, St. John’s wort, bittersweet nightshade, echinacea, milky oats, borage, thyme, rosemary, calendula, yarrow, lemon balm, California poppy, catnip, anise hyssop, common and clary sages. Enough plants to heal your skin and help you sleep, soothe your muscles and lift your spirits. And a few things that I don’t know yet. What are these two plants? Time will tell (but I wouldn’t say no to a little friendly internet help either). Meantime, I’ll be out there hoeing and trying not to hoe my seedlings that look like weeds. The flea beetles have gotten to my bittersweet nightshades but we’re not down for the count yet. I planted the marshmallow and valerian on opposite ends of the garden so I wouldn’t get them confused (their leaves look alike at this size). And I got the last of my very favorite calendula seeds to sprout. Small steps in the right direction, as always.